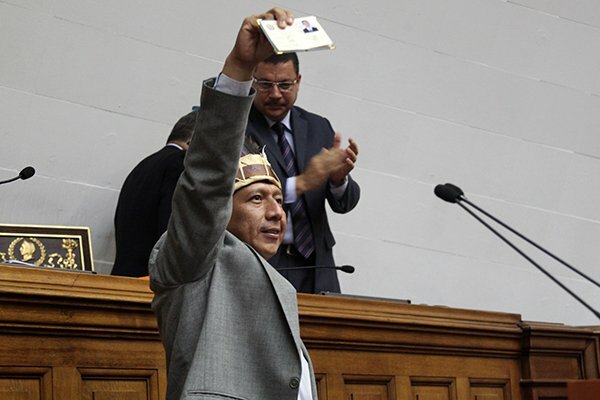 The National Assembly defied the country’s top court today, the Tribunal Supremo de Justicia (TSJ), by holding a swearing-in ceremony for three deputies from Amazonas states who had been removed from their seats by the TSJ earlier this year. The deputies – Julio Ygarza, Nirma Guarulla and Romel Guzamana – were elected to represent their respective districts on December 6, 2015. 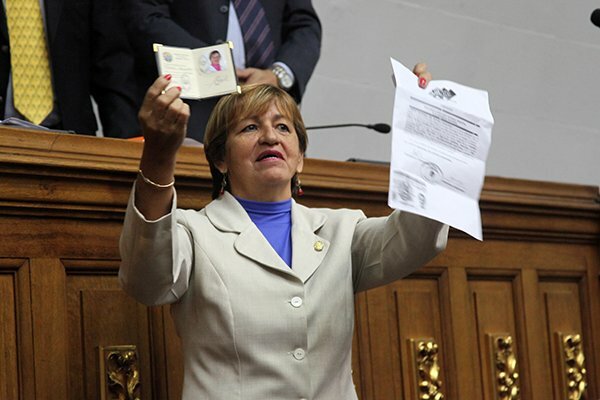 The Consejo Nacional Electoral (CNE) verified and confirmed their election at the end of that day, essentially confirming that the three had been elected in a free and fair voter. However, on December 30, the TSJ issued an order to stop the three deputies from being sworn in and joining the National Assembly. 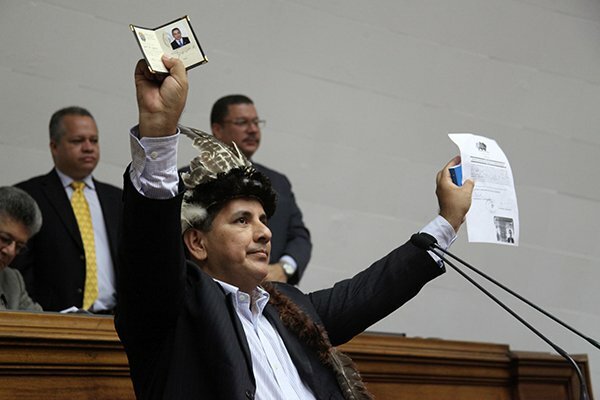 The order was widely regarded by opposition supporters as a desperate move by the Venezuelan government to stop the National Assembly from exercising a super-majority at the National Assembly. The case has remained dormant at the TSJ since then. Deputy Julio Ygarza told reporters at the National Assembly today that no judicial act could keep them away from holding the office their constituents elected them to. At the same time, Ygarza said that there is no longer a separation of powers in Venezuela, and that the TSJ order removing them from their posts was not grounded in law. 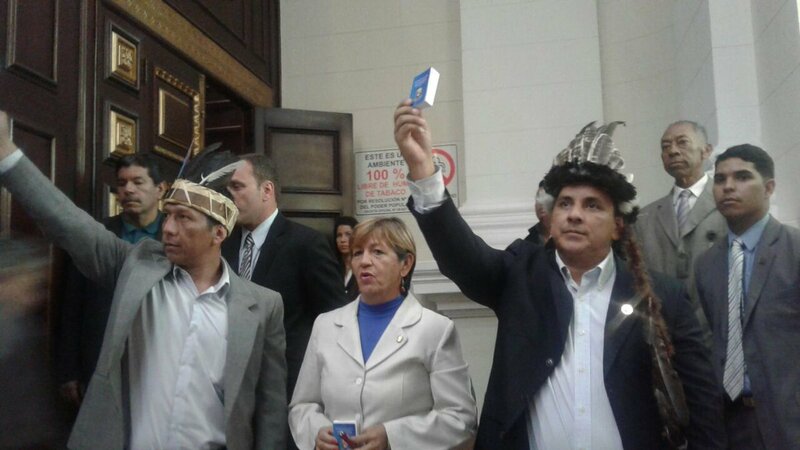 We are National Assembly deputies, and we have parliamentary immunity (…) we are not violating the Constitution. Today, we commit ourselves to fight on behalf of our people in the south and to be the voice of the states of Amazonas and Apure as we face these problems. This event is absolutely illegal and unconstitutional. Amnesty International reacted today to government resolution 9855, which creates a mechanism that places every worker in Venezuela at the disposal of an obligatory transfer of labour system. Under this new system, anyone able to carry out physical labour may be sent to work in the agricultural industry for a period of up to 120 days. This new decree is totally useless when it comes to finding a solution so that Venezuela can overcome the crisis in which it has been submerged for years. Venezuelan authorities must focus on asking for and urgently delivering the humanitarian aid that millions of people need around the country, and develop and effective long term plan to deal with this crisis. Trying to solve the severe lack of food in Venezuela by forcing people to work out in the field is like trying to fix a broken leg with a band-aid. This is a threat of forced labour on behalf of the state. It’s a blow against all the gains that workers have made after centuries of struggle… this is a measure against the freedom and progressiveness of rights. In the of this crisis of scarcity and hunger, those who govern from their offices and their privileged positions are trying to force workers to work under conditions that they decide. Instead of developing a plan to help Venezuelans avoid going hungry, or accepting humanitarian aid, they force Venezuelans to make sacrifices and violate their dignity. They call themselves socialist and workers, but they treat workers like objects. They’ve become the most abusive patron in the country. This government has constantly betrayed this country.